If you liked this show, you should follow Feisty Side of Fifty. We feisty boomers know that one of the best ways to celebrate life is through travel, enjoying great food and learning new and fascinating information. That’s why this show is especially exciting. Our guest is none other than Jack Bishop. You know Jack as one of the hosts and chief creative officer of America’s Test Kitchen. He is also a celebrity chef, cookbook author and expert on Italian cuisine. Jack joins us to share all about National Geographic’s incredible new book: TASTING ITALY: A CULINARY JOURNEY. The book is visually stunning, filled with history and culture and also boasts 100 delicious recipes. 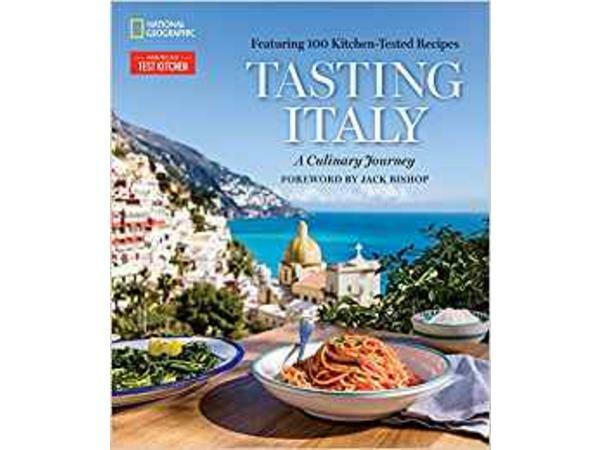 I’d say it would make for the perfect gift for anyone who loves all things Italian… and who doesn’t? So give yourself a real treat that will awaken each of your senses and take a listen to Jack as he shares a delightful taste of Italy!